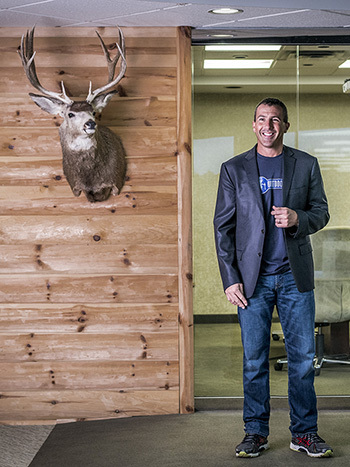 An avid hunter, David Farbman has translated lessons from the forest to an array of business interests — first as president of NAI Farbman Group, a multifaceted commercial brokerage, leasing, and management firm in Southfield; and then as he gave up the reins for a chance to start a cable TV show centered around the World Hunting Association. The show had trouble starting with the pilot episode, where world-class hunters tracked prey inside a fenced-in, 4,000-acre ranch in northern Michigan; it drew the ire of animal rights activists and environmentalists. “I raised capital from a number of investors, and there’s no show because we (couldn’t) get sponsors or advertisers,” Farbman says. In short order, he switched gears and launched Outdoor Hub, a global digital media company in Bingham Farms that focuses on the outdoors — hiking, fishing, hunting, and boating. Offering daily online articles, industry news, videos, and related content, the company represents 600 websites that generate more than 26 million unique visitors per month. Last year, the company became part of Carbon Media Group, which covers the outdoor market, action sports, and agriculture. Farbman also released his first book in April, The Hunt: Target, Track, and Attain Your Goals (Jossey-Bass). What was the inspiration for The Hunt? Throughout my career, whether at a Young President’s Organization forum, inside one of the businesses I am a partner in, or in life and relationships in general, the principles and discipline of hunting have been the core to my strategy and implementation. After I turned 40, my wife, Nadine, threw an amazing surprise birthday party for me, and there was a video she helped create for the party that really affirmed some of the significant growth I’ve helped my family and friends achieve. At that time, my friend, Josh Linkner (CEO and managing partner of Detroit Venture Partners), was getting his speaking career going for two books he’s now published. After the party, I started thinking about writing a book and decided to dive right into it. I saw the book as a way to help more people create something powerful if they put the proper pillars and structures around whatever they were working on. For example, how do you build a brand from scratch? How are businesses actually built, and how do you sustain growth? With a busy career, how did you find time to write? The writing started in April 2012, when I was in a blind in Milford for the turkey season. I’ve been fortunate to hunt from a young age, but I had to give a lot of it up to write the book. I worked with a speaking coach, Eleni Kelakos — over the course of six months, we met once a week for two to five hours — who helped me pillar every thought I had. Over time, we created the seven steps of the hunt system. I built an outline first, and the writing was (done) late at night or very early in the morning. It worked out to 20-plus hours a week. One important aspect of the book is to recognize and take advantage of your peak working cycle. I am a rooster, so my peak is in the early morning. Hawks peak midday, and bats peak at night. To reach the best-sellers lists in The New York Times and USA Today, and on Amazon. I want to see the book help as many people as possible. To do that you need a strong platform, so we have a website, we’re using social media, and we’re following our marketing strategy. I’m also developing a successful public speaking platform to build the brand. We will have a daily relationship with readers and hunters — all of which takes a great deal of work and persistence. When you have expansive goals, you have to break it down into little projects and feed on weekly and monthly targets. That’s how you eat an elephant, one bite at a time. Otherwise, the overall project will consume you. It’s also critical to celebrate all wins. How does the book translate back into your business ventures? The cool part is that everything I write about has been accomplished in my life using the principles of the hunt system. You identify a target, prepare to meet that target, and then score the victory. The key is to use your unique abilities to accomplish a task, and let the experts do what they do to achieve the overall goal. At NAI Farbman Group, I offer an objective point of view, when requested, to our executive team — which includes my brother Andy, along with Andy Gutman and Michael Kalil — as well as work on client relationships. In the end, I’m a real estate guy at heart. I also co-founded Nuco Health with my brother and Pete Davis, where we work with Oakwood Healthcare Inc. (in Dearborn) to add value to their internal and external operations by improving quality and efficiencies. We’re looking at adding some other hospitals. At Carbon Media Group, I work with our CEO, Hyaat Chaudhary, on enhancing our brand, vision, focus, and operations. With so much business done digitally, where does that leave personal relationships? I don’t care how great technology becomes, it’s the boots on the ground that gets things done. As a business leader, you have to be a great communicator to explain your vision and how to take it forward with everyone on board. At Oakwood, we’ve helped to add some incredible value in operational efficiency, which at the end of the day helps patients, health care professionals, and the vendor base. Anyone fortunate to do business with both sides in a given activity or transaction stands to succeed. 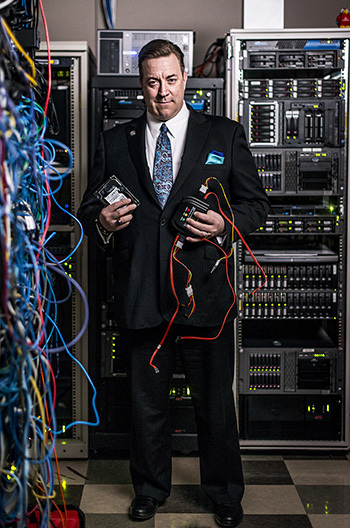 That’s the case for Mark St. Peter, managing director and CEO of Computing Source in Southfield, which specializes in electronic discovery, computer forensics, and imaging and scanning. But St. Peter’s road to success has been anything but a cakewalk. For Detroit’s Chapter 9 bankruptcy, St. Peter is providing document services for various parties involved in the case and is video-recording the nearly daily procedures on behalf of the federal court. “I started the business in 1981, but I was diagnosed with lymphatic cancer in 1996, and then it came back in 2001 and I almost died,” St. Peter says. “We slowed the business down the second time, and when everything was clear with my health, we brought the business back.” Working with dozens of clients — many of whom need near-immediate access to thousands of legal documents — is a complicated and fast-paced business. Today, Computing Source has 135 employees, and 2014 revenue is expected to be $10 million. What’s your involvement in Detroit’s Chapter 9 bankruptcy? We manage both sides, meaning the creditors and the city. It has been a busy schedule. We’re doing trial presentations for most of the creditors, and doing a lot of print work and binding work for 20-plus (city) attorneys. When there’s a hearing, we have to manage a lot of people in a short period of time. Fortunately, we have a store in the Penobscot Building (Computing Express) and a production facility in the Ford Building. We just developed a new logo that spells out what we do — all in one legal technology. We’ve really perfected it in terms of being full-service, including electronic discovery, computer forensics, copy/scan/print services, hosted document review, contract attorney staffing, expert testimony, and trial technology services, and we produce demonstrative evidence and trial boards. In one case, we handled a product liability case against a Japanese manufacturer. We worked with Jaffe Raitt, (a law firm) in Southfield. Half of the documents were in English, and the other half in Japanese. Overall, it was around 3.5 million documents over four years, including 300 depositions. It was a big deal. How do you manage the internal workload? We have two ways. The head of each department is the best and brightest in their field. Erik Schwartz, for instance, does our video work, and he was specifically requested by the parties and staff from the federal court (to record Detroit’s bankruptcy proceeding). Tim Smith is our general manager. He was corporate counsel for two different companies for several years. He understands, from an attorney’s perspective, what’s involved in making sure everything flows smoothly. The No. 1 request is seamless transition. If we have an order for 100 exhibit documents from a trial we can get those printed right away, or we can produce a trial board very quickly. But the customer never sees that. They have one point of contact in terms of our account executives, and we take care of everything behind the scenes. Tim manages all of the interactions when a job crosses from one department to another. If an account executive gets a request for something outside of their quadrant, they go to Tim and he coordinates everything. It’s very Midwest. We have offices in Detroit, Southfield, Birmingham, Ann Arbor, Grand Rapids, Chicago, and Indianapolis. Given what happened in my life, I have no interest in running around the country. Next, we’re going into Cleveland, then Pittsburgh. If I can’t drive there (from Detroit), I don’t want to have an office there. Each office is a little different. In Chicago, we started in the print sector, and then everything else came online. 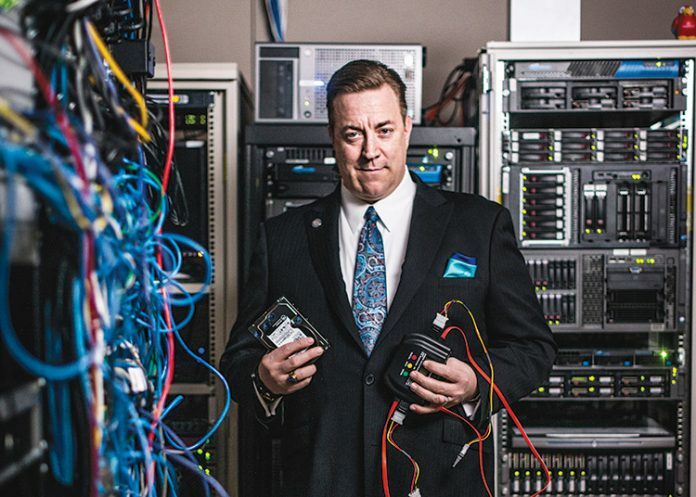 In Indianapolis, we do consulting, e-discovery, computer forensics, and expert services, and then down the road we hope to get a print job. Each city has it own lead service, and we look to expand from there. We may have a far west office at some point. My retirement plan is: “Aloha, Computing Source, Mark speaking, how can I help you?” We’re also looking at potentially expanding into Canada. I see Toronto as part of our Midwest footprint. How has technology improved your business? The demand for our services is such that our company operates 24/7. Technology provides me with daily financial reports, daily production reports, weekly reports, and monthly reports. It’s a sophisticated information management system, and I can see it all on my smartphone. We also stand out in the field. Most of our competitors are legal people who got into computers, while we’re a bunch of computer people that learned the legal industry. We’re in the process of acquiring a company that does financial printing, so that’s another example of technology that will help us. Three years ago, Shinola was a startup armed with lofty aspirations of reinvigorating America’s manufacturing heritage by sourcing and assembling as many domestic components as possible in an ever-evolving series of limited edition, luxury watches. Starting assembly in spring 2013, the company produced 50,000 watches in just nine months and now is on track to craft 150,000 watches this year. What’s more, it recently expanded throughout the entire 60,000 square feet of space it leases at the College for Creative Studies’ A. Alfred Taubman Center for Design Education near Detroit’s Fisher Building. 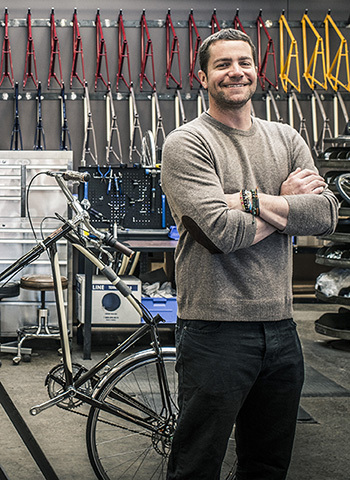 “There’s no one person that stands out at Shinola, rather we’re a movement of people dedicated to rekindling American crafted goods,” says Jacques Panis, president of Shinola. “We have more than 230 employees, and we’re going to be adding more this year and well into the future.” In addition to watches, the company assembles handcrafted bicycles, leather goods, linen journals, and furnishings. Why is the company named after a line of shoe polish? There’s such a wonderful history and heritage to the name Shinola. It’s a very iconic brand in the United States. The shoe polish was carried by many of the GIs during World War II. It’s a brand that resonates, it has humor to it, and it makes people smile. Most people remember their grandparents saying, “You don’t know sh – t from Shinola.” When we came upon that brand (the company got its start in New York as Shinola-Bixby Corp. in 1907 before folding in 1977), it made a lot of sense to bring it back and re-craft it so that people could engage with it and have fun with it. Fortunately, we assembled a team of people around the brand that could help shape what it is today. We started with our limited edition Runwell collection of 2,500 pieces that we launched with an ad campaign with the tagline, “The long tradition of Detroit watchmaking has just begun.” We sold all of the pieces in eight days. Given high volume watch production moved overseas years ago, how did you find the talent and expertise in Detroit? We did it by partnering with Ronda, which helped us bring watch manufacturing and movement manufacturing back to the U.S. They are an almost 70-year-old movement manufacturer from Switzerland, and they helped us train our people and set up our operations to the Swiss criteria of assembling the highest quality watches. In addition to that, we’ve been fortunate to have great leaders in place throughout the entire organization. If you look at Will Holly, he’s now one of our team leaders in the assembly process, and before that he was a security guard in the building. When you hire people, you look for leadership skills, in addition to great talent. We found all of that and more right here in Detroit. What’s driving your rapid growth? It’s actually going to be even more exponential due to the new leather factory we opened in April that served to fill all of our space. We’re bringing more jobs with skill sets that have been very scarce in this country for many years. This year we added a second movement assembly line, so we’re on track to produce 150,000 watches, and we’re selling them all over the world. And they all proudly say Detroit (on the face, and “Built in Detroit” on the back). The reason we started the leather factory was the need for more straps. We work with a wonderful company called Hadley-Roma (in Largo, Fla.), and now their capacity is practically full. So we opened our own facility and continue to work with them, and we’ll have 40 to 60 people (working in the leather factory) by the end of the year. What other growth plans do you have? When you look around Detroit, you see the Big Three assembly lines and the suppliers located nearby, and that’s what we would like to see in the neighborhood around us. We’ve started to have those conversations with companies around Detroit, and we hope to make 100 percent of our components in Detroit one day, so that means the case, the buckle, the dial, the hands, the crown, the crystal — all of it coming out of the Midtown neighborhood or the city of Detroit. How’s the retail expansion going? We’re adding a third flagship store in Minneapolis this summer (the Detroit and New York flagship stores opened last year), and we’re looking to add stores this year in Chicago and Washington, D.C., as well as London, Berlin, and Amsterdam. We opened a very successful popup store in Singapore. Our plan is to continue to open stores across the U.S. Over the next five years, we plan to open eight stores per year. How did the brand garner such resonance so quickly? It goes to the community and how supportive the people are across Detroit and Michigan. If you look at all of the partnerships we forged with Detroit businesses like Paxahau Productions, the Detroit Grand Prix, Ford Motor Co., and Lovio George, to name a few, as well as Henry Ford Museum, Midtown Detroit, and CCS, it has just been incredible. We also feel people really responded to the high level of quality and craftsmanship we put into everything we do. We just launched a lifetime guarantee, and you can only do that when you offer quality. Our people are the real champions. They work hard every day and put their heart and soul into every timepiece we assemble. It has nothing to do with me at the end of the day. What new products are you contemplating? We’re exploring a lot of different ideas, everything from shoes and apparel to furniture and home goods. One of the most important things for us is to remain focused on building a profitable and sustainable business. We’re so excited to play a small part in helping to move Detroit forward in a positive direction. To do that, we have to ensure that every one of our products that rolls off the line can stand up to a lifetime guarantee. That means we inspect every single component before it goes on the assembly line, we inspect them as they are assembled, and they all go through a final, stringent inspection before they leave our factory. That’s what Detroit is all about. We provide growth capital so that management teams (can) continue to execute their business plans. But sometimes things don’t work out, so you have to be patient. A few years back, we took a look at an investment proposal for a small music college in the U.K. They help talented students looking to pursue a career in music, and there was no college alternative. The first year, they had 180 students; 11 years later, they had 2,000 full-time students among six different locations. It’s great, because the students get a college degree from an accredited university. Two years ago they were looking to grow across the U.K. and the U.S., but they wound up taking capital from someone else, so things were quiet for a couple of years. But I kept at it because I liked the business model. Last summer, I called our London office and, as it turns out, things changed and the noncompete (agreement) expired. So we got a hold of them, and they were asking why we were calling. I said, I have a friend that is rejuvenating Detroit, and would they be interested in taking a look at Detroit to open a music college? So when they arrived (last September), you wouldn’t believe the reception from Dan Gilbert (and his Quicken Loans family of companies). He and his team showed them all the different areas that were under development. I can’t tell you what it’s like to have Dan Gilbert as an ambassador for Detroit. They weren’t looking for investment from Dan, but he saw the potential (to help fill space in the central business district), and they rolled out the red carpet. What was the college’s impression of Detroit? They had a skeptical view of Detroit. They had seen some of the shocking movies and TV shows about the city, many of which are sensationalized. But when they arrived, they saw a beautiful city with incredible architecture. They caught the edginess and the buzz, and they met with people who are very passionate about the city’s rejuvenation. And their response was this was where they wanted to be (before expanding to other parts of the country). There was a brief period where we looked at the American Idol concept of auditions, but that didn’t fit their model. The Detroit Institute of Music Education (DIME) provides the proper education to pursue a career in music. The industry has really changed with more digital music, and iTunes, and everything has shifted around. The students will receive traditional music education, but also entrepreneurial training. I’m very fired up about it. What makes for a solid investment opportunity? We look for an entrepreneurial heritage, low-cost operations, and access to technology and other resources — basically the people we have in Detroit and Michigan. We never follow the herd. One of the realities (of venture capital) is that it takes a little while for the fruit to bear. We started in 1988, first as an M&A boutique. Three or four years into the business, we evolved into investing and fund management — but we continued to have our M&A advisory business. The second chapter was the investments you see today, such as with DIME. We work closely with the state of Michigan and their investments with promising companies and people. But when you look at DIME, that all came about because we have an office in the U.K. We will continue to grow into Europe with our portfolio companies, as well as in Michigan and the Midwest. 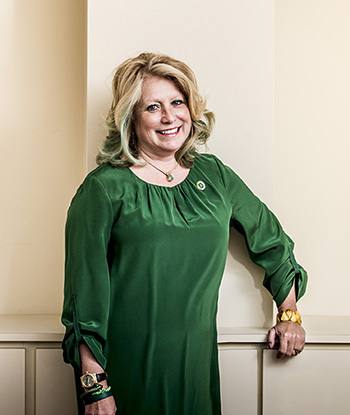 After working for companies large and small in the IT sector, Cindy Pasky made a leap of faith in 1990 and started Strategic Staffing Solutions (S3) in Detroit. Every year, the global IT and business services firm has recorded revenue gains — last year, sales were $238 million. With more than 2,000 employees in the United States and Europe, Staffing Industry Report ranks the company the 16th largest staffing firm in the country. “I got my start in the industry in 1979 as a programmer in what was then known as data processing,” says Pasky, S3’s president and CEO. “It was basically mainframe computers, and the desktop computer industry had yet to be introduced.” Not satisfied with the large corporation she was working with, Pasky struck out on her own with her husband, Paul Huxley, who is CFO. Today, the company services the agriculture, energy/utility, financial, health care, retail distribution, government, and telecommunications sectors. Were you an entrepreneur at a young age? I grew up in Detroit, and my dad and I were very close, but then he got sick before I was 16. He was a person who instilled good business practices in me — but I didn’t start a company in the garage or the basement. When we started S3 on Oct. 1, 1990, it was really hard in the beginning, and very challenging. You never know what you don’t know until you learn it. In 1991, the Gulf War had started and the whole economy stalled. Customers were adopting greater security measures, and they were holding back on spending money. How did you get through the downturn? We focused on the basics. We had some great companies that we worked with in the beginning, and many of them are still with us today. Our second customer was the National Bank of Detroit (now Chase), our third customer was Detroit Edison (DTE Energy), and in the first three years Blue Cross Blue Shield of Michigan became a customer. There are always challenges, but the biggest thing we focused on was making sure we had good cash flow. When we started, the regional economy was very focused on manufacturing and, if you weren’t in that space, it was difficult to get a loan. The service industry wasn’t high on the list of prospective customers among banks. The good news was we had great customers, so they would allow us to walk an invoice through their accounting department rather than wait the typical 30 to 60 days (to be paid). What I learned is not to be afraid to ask for something if you need it. At what point did you begin to expand? It was the fourth year in business. I was good at working with customers and helping them grow, and (my husband and CFO) Paul (Huxley) took care of the finances. We each complement one another very well in terms of our skill sets. In that fourth year, we were at the point of, “OK, we know how to make money.” We had come to a point that we could either grow with our customers or sell the company. It became clear that we weren’t going to keep a bank as a client if we couldn’t service them at all of their locations. Our internal joke was, “We have to be a real corporation now.” But being where the customer is is a lot of hard work. You have to travel a great deal. Plus, we’re old-fashioned. If a customer needs us, we’ll be there. So we have consultants in 46 states, we have three offices in the United Kingdom, and an office in Lithuania and Latvia. We also support customers in Hungary and Poland, we’ve done work in Argentina and Brazil, and we had people on assignment in the Nordic countries. We continue to grow our Detroit Development Center, which we started up four years ago to (initially) support Blue Cross Blue Shield. We’re in the process of opening an office in Singapore, and I can tell you it’s a long trip. Everything we do is driven by our customer needs. Our No. 1 goal is to have a strong, engaged company. But as we started to get larger, we looked around and we started to engage in Detroit, to make a difference in terms of improving the city and its offerings. The other thing is that when you go after larger accounts, you have to be in the room (with other business leaders) and stay in that mix. So that’s what led to (being named chairman of) the Downtown Detroit Partner­ship three years ago, and being on the board of directors of Business Leaders for Michigan. 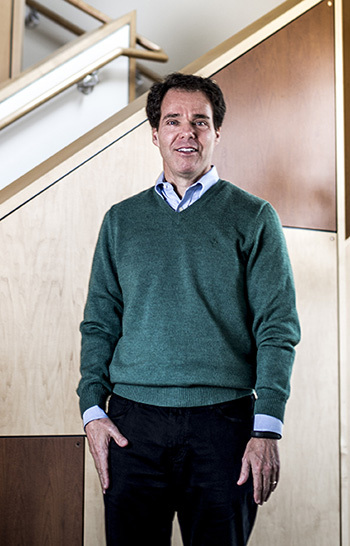 With the success of Detroit Venture Partners, a venture capital firm that invests in emerging technology companies, Damien Rocchi saw an opportunity. Working with co-founder Bradley Hoos, the pair launched Grand Circus last year on three floors in Detroit’s Broderick Tower. Their business offers co-working space for entrepreneurs, tech training, and educational programs. Detroit Venture Partners, located next door in the Madison Building, is the lead investor in Grand Circus (the name reflects neighboring Grand Circus Park). 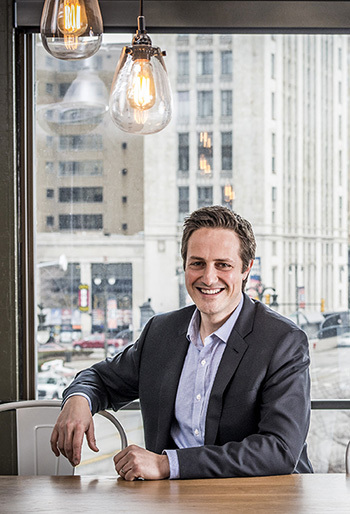 “I was doing work for one of the Detroit Venture Partners portfolio companies and was introduced to (partners) Josh Linkner and Jake Cohen, and they were looking to get more tech training going in the city as well as preparing the next generation of code writers and digital entrepreneurs, and Grand Circus was born,” says Rocchi, a native of Australia. Launched last year, the nonprofit saw its 15,000-square-foot space fill up almost overnight. Demand for tech training proved to be a hit, as well. How does Grand Circus differ from Detroit Venture Partners? Detroit Venture Partners invests in seed and early-stage companies, helps them grow, and when they are large enough and ready, they move into other parts of the city. It’s been very successful. We saw an opportunity to complement what they do by offering co-working space (for 50 entrepreneurs), which is all spoken for. We also offer a public curriculum — or what most people know as classes — to launch a business, or perhaps someone is curious about something. We also deliver custom training for much larger companies, and we offer community programs where we work with Detroit Public Schools and Osborne High School to provide (students with) training such as writing code. I grew up in Melbourne and when I first got out of college in the mid-1990s I was consulting as part of Michigan National Bank’s acquisition by National Australia Bank. That brought me to Farmington Hills, which is where I met my wife. We lived here a few years before I attended the Wharton School (in Philadelphia) for my MBA. After that, we went back to Australia and started a family. I had worked in a number of corporate roles; the last one was with Fairfax Business Media (in Australia), where I had responsibility for a group of digital businesses within their publishing division. In 2009, my wife was keen to come back to Michigan. At that time, I had a lot of experience around building businesses, albeit in much larger environments. So I started consulting again (in metro Detroit), but this time it was with much smaller companies — and that’s when I met Josh and Jake. What did it take to start the operation? We started up last February (2013) by constructing the team and getting the curriculum ready, and we started classes in September. Since then, we’ve had a tremendous response in terms of enrollment. We’ve also announced a number of partnerships, including one with Google. We were selected as one of seven (national) hubs. We also have a partnership with Automation Alley (in Troy), where we have great reach into their membership base. We have 50 entrepreneurs (in Grand Circus), Automation Alley also has space in the building, and in addition to the co-working space, we have a casual space. Most of the entrepreneurs are in the digital space and software space, (where they) build businesses for the Web and mobile (applications). How did it go with Google? We were just with Google in California (in late March). They had the Google for Entrepren­eurs Demo Day for each of the seven hubs. We had a local competition and we traveled with the startup in Detroit (that won the competition), so we were out there with the other seven hubs. It was really great. (As part of the partnership with Google), they provide technology for our startup space, they do mentoring, they do events — it’s really a multidimensional program. We were at Google with iRule, (which developed a universal remote to connect various gadgets), but they didn’t win the main prize. Still, iRule received $100,000 (along with the other participating companies) from Steve Case, (co-founder of AOL and chairman and CEO of Revolution). It was just a super event and offered incredible exposure. Our public curriculum is just about to finish the semester, and we have a lot of custom programs to launch, including one that is an innovation accelerator. We’re real excited about getting traction with companies to bring an innovation mindset to their activities. We’re talking to a number of schools to offer a program like we do with Osborne. We teach students how to code and develop (digital programs), and then there is a career track where they get to work with a company like Google. They get a sense of how to work with a developer. We’ll do more of that, which could lead to internships. But we’re working on awareness right now, especially for students with the right mindset. There’s pent-up demand for talent (in the digital space), so we’re trying to add to the supply. We’re looking (at adding programs) for middle schools, high schools, and even the adult workforce space. It’s exciting. An event will be held Wednesday, May 14th to honor the six Champions at the Quicken Loans Junior Achievement Financial Park in Detroit.